IFA's 50th edition has opened its gates to record-breaking exhibitor numbers on more floor space than ever. Today, IFA boasts of being the biggest show of its kind in the world, where an increasing number of innovations are revealed and where real business deals are made. This year for the third time, as the exhibition HOME APPLIANCES @ IFA became the part of the show, all notable home appliances manufactures, including Gorenje, are present. 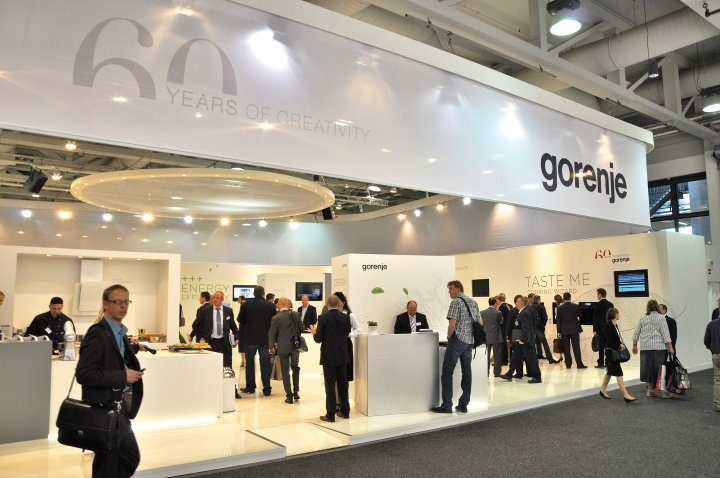 The array of novelties presented in Berlin this year bears witness to Gorenje's commitment to development of technologically perfected and environmentally friendly home appliances that address the customers with their appealing design and innovative solutions. Destined to steal the show, however, is the premiering innovative application GreenConnected. 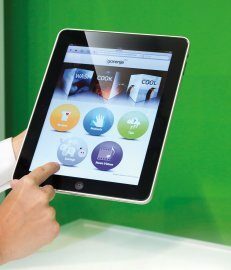 GreenConnected, Gorenje's newest application is an original upgrade to the existing iGorenje system which was adapted for use with the iPad tablet PC, for remote operation and control of connectible appliances. 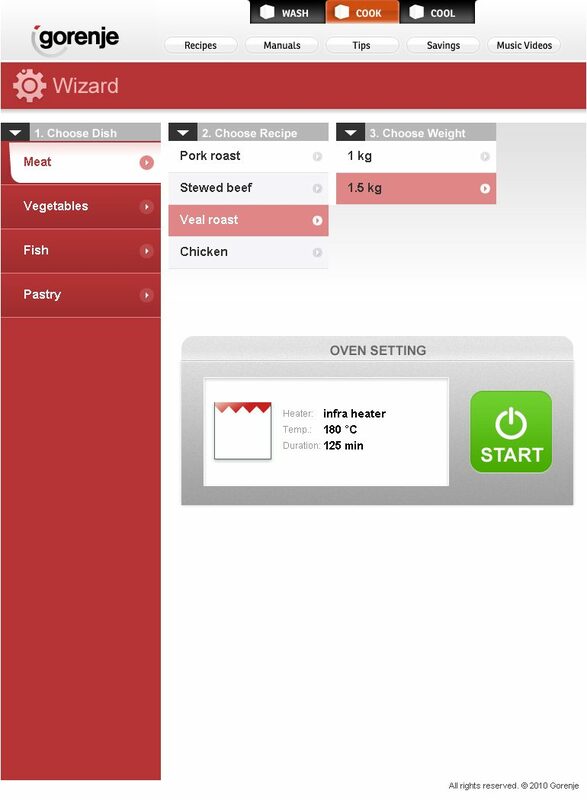 The GreenConnected application allows users to monitor the status of individual appliances from remote locations and coordinate their operation. It stands out with an innovative energy-saving concept called PowerManagement, which times appliance operation cycles in order to optimise energy consumption. 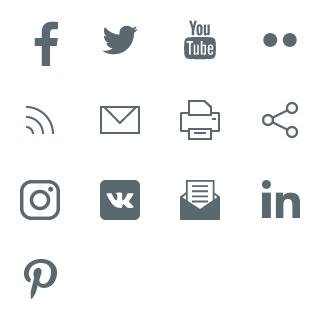 A device with a Wi-Fi interface, such as a mobile phone, PDA, iPod Touch, laptop, iPad, etc., can be employed to check the appliance status and to send control orders from a remote location. Gorenje experts will continue to develop the iGorenje system to include other advantages made possible by the smart grids, affording the users even better and more economical operation of home appliances, both when at home and while on the road. The innovative GreenConnected application built into the iGorenje system is distinctive for its ability to track the parameters of the so-called smart grids. These grids include smart meters which, based on the power grid load, break the day down into a number of several-hour intervals during which a specific power rate applies. Hence, these meters provide a range of new options, including cutting off power supply from a remote location and introducing alternative methods of payment (e.g. prepaid service). The iGorenje system and the GreenConnected application use the information provided by a smart meter to time the operation of appliances, making sure they’re started during periods when lower rates apply. This updated iGorenje system for remote control of washing, cooking, and refrigeration helps to provide up to a 25 percent improvement in energy efficiency. 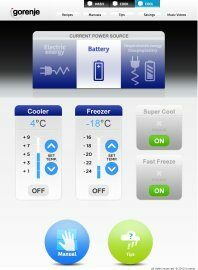 Gorenje refrigeration appliances now also feature a remarkable novelty. Paired with a complex compressor, a special rechargeable battery is charged during the lower rate hours to allow the refrigerator to operate more economically during higher rates, as well as to operate in case of a power supply failure. The washing machine's user interface, too, now includes new advanced functionality that allows the user to save even more energy. "Based on the currently assigned power rate, the savings-minded smart system will now suggest to the user to either choose a more economical washing program or to delay the washing cycle," explains Sašo Vinkovič of the Gorenje Point program, adding: "In fact, all electric and electronic devices in your home, not merely large appliances, can now be timed to operate, as far as practical, during the lower power-rate hours." 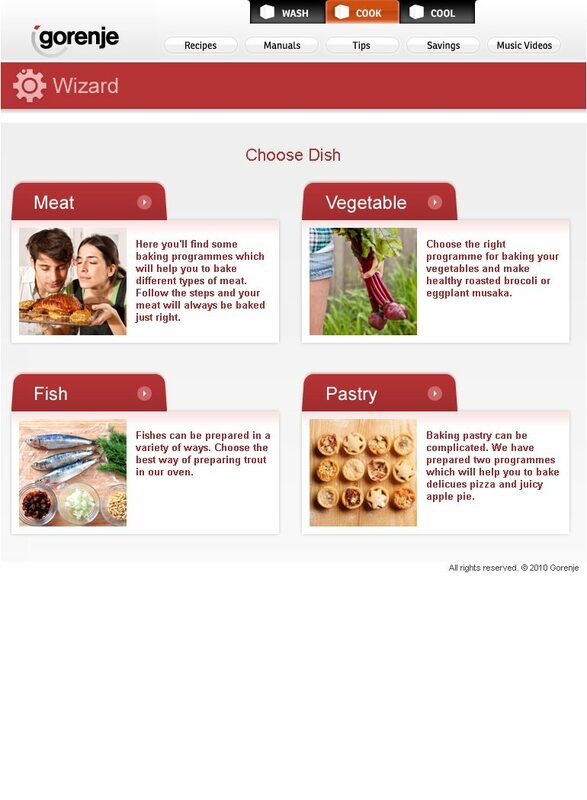 Inspired by the larger and simply better-looking display of the Apple iPad tablet PC, the collection of recipes in the iGorenje database has also been enhanced. 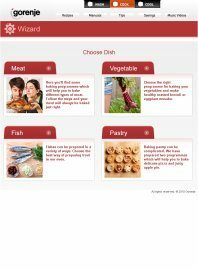 The database of oven-based cooking recipes and simple touch control are a contemporary, innovative way of bringing cooking closer to a growing population of internet fans who are looking to indulge and express their passion for food. 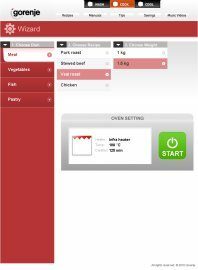 Why not cook with an iPad connected through a Wi-Fi interface to a high-tech Gorenje oven, using numerous preset cooking programs that make culinary creation fun and easy? Gorenje experts will continue to improve the iGorenje system and include other favourable features of active grids in order to allow even simpler and more energy-efficient use of appliances, both on-site and from a remote location, as well as further savings.